At the close of 2016, the Green Building Council of Australia (GBCA) applaud its ‘green leaders’ of 2016 – buildings that have achieved the coveted Green Star certification for their environmental credentials. The GBCA certified 401 Green Star projects in 2016, compared with 223 in 2015, marking an 80 per cent increase in certifications. Romilly Madew, Chief Executive Officer of the GBCA attributes the higher number of certifications to the rapid uptake of the Green Star – Performance rating tool, which assesses the operational performance of existing buildings. Vicinity Centres rated a whopping 93 Green Star projects in 2016 – the entire portfolio was rated using the Green Star – Performance rating tool, reflecting the company’s massive commitment to sustainability. Melissa Schulz, General Manager Sustainability at Vicinity Centres says the Green Star – Performance rating tool was really helpful in benchmarking individual centre performance following the consolidation of their asset portfolio. The tool, she says, helped highlight existing areas of best practice, which are now being rolled out across the broader portfolio to drive performance improvements. Madew also noted that portfolio certification reshaped the way companies thought about sustainability in 2016. She added that alongside Vicinity Centres' outstanding commitment, DEXUS Property Group certified 79 projects, SCA Property Group certified 56, Mirvac 41 and Frasers Property Australia 14 projects. Lendlease achieved the highest number of Green Star certifications across all other rating tools as the owner/developer of 10 projects and the project leader for an additional 10. During 2016 Lendlease led 25 Green Star projects to certification. In 2016, the Global Real Estate Sustainability Benchmark, which surveyed 759 real estate companies and funds representing more than 66,000 assets and $3.7 trillion in gross asset value, ranked Lendlease third in the world. Stockland certified six master-planned communities in 2016, the highest by any company. Observing that Stockland was leading the charge in its commitment to sustainable communities, Madew said tens of thousands of Australian families will live in Stockland communities that were designed to be environmentally sustainable, and to be liveable, prosperous and resilient places. Appreciative of the global recognition the company has received for their leadership in sustainability, Mark Steinert, Managing Director and CEO at Stockland said they can strengthen trust in the broader community by being accountable to customers and the community, as well as shareholders. Arup Australasia worked on more Green Star certifications than any other consultancy in 2016, with a total of 11 for the year. Having worked on an impressive 82 Green Star projects, Arup’s highly-experienced team has influenced the design and delivery of some of Australia’s most iconic green building projects. Arup's legacy this year includes state-of-the-art education facilities at the University of Melbourne, the restoration of Sydney landmark Shell House and community-scale projects around the country. Tim Elgood, Sydney Sustainable Buildings Leader for Arup, said they have been privileged to work closely with the GBCA and Green Star to help influence sustainable building design in Australia over the last 13 years. Having helped to deliver a number of Green Star 'firsts', Arup commits to continue pushing the boundaries of what's possible in sustainable design. Another active green leader of 2016 was WSP l Parsons Brinckerhoff that worked on 14 newly-registered Green Star buildings. WSP l Parson Brinckerhoff's work in 2016 included industrial buildings for Frasers Property Australia to the expansion of the Melbourne Convention and Exhibition Centre, and from Shellharbour Civic Centre to NAB's office fitout in Brisbane. WSP l Parsons Brinckerhoff Director of Sustainability Brenda Kingston comments that they are proud of their long history with the GBCA and the Green Star, with over 118 certified Green Star rated projects. With 155 Green Star projects certified in 2016, New South Wales achieved the most certifications, followed by Victoria (97), Queensland (57), Western Australia (44), South Australia (20), ACT (16), and Tasmania (12). According to Madew, aside from the large number of Green Star projects delivered by the industry across New South Wales, the Baird Government has joined the ACT, Victoria and South Australia with a goal of net zero carbon emissions by 2050. NSW has backed this commitment with $500 million over five years to drive policy reform that delivers advanced energy technologies and energy efficiency, and helps prepare for a changing climate. Western Australia saw a broad range of project types achieving ratings, from retail to distribution centres, and communities to apartments. 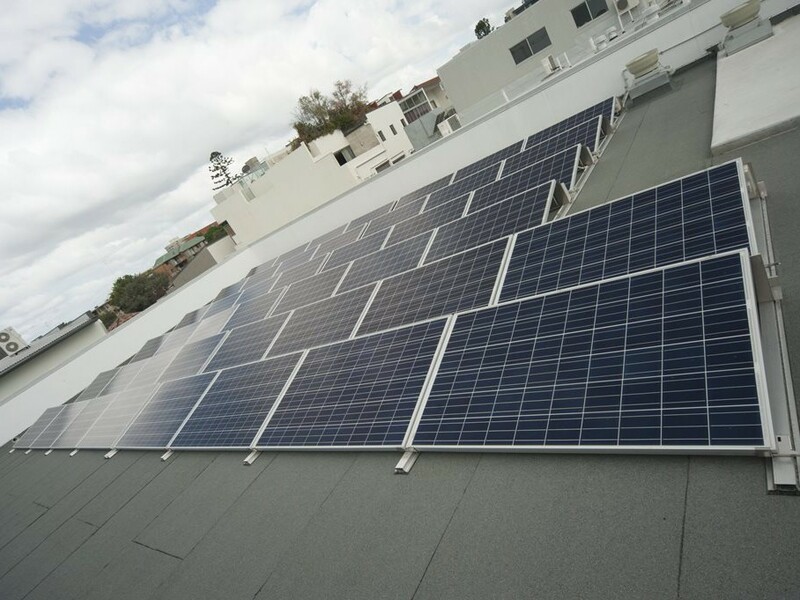 In South Australia, the Weatherill Government’s 5 Star Green Star mandate at Bowden is bearing fruit, and the community now has the highest concentration of Green Star-rated residential buildings in the country. The Andrews Government in Victoria has made a commitment to certify the Fishermans Bend community, which will one day be home to 80,000 people. The University of Tasmania in the Apple Isle has made a commitment to Green Star delivering sustainable learning spaces, laboratories and student digs. In Queensland, the infrastructure investment for the 2018 Commonwealth Games is driving a green revolution - the GOLDOC headquarters achieved the Gold Coast’s first 4 Star Green Star – Interiors rating. The ACT also achieved its first 6 Star Green Star – Communities rating at Ginninderry, a project that cuts across state borders and will deliver homes for 30,000 people by 2055. Madew adds that more than 636,000 Australians, representing five per cent of the country’s total workforce, now work in Green Star-rated offices while a further 13,300 people live in Green Star-rated apartments. More than 130,000 people are moving into Green Star-rated communities, and 1.2 million people visit a Green Star-rated shopping centre each day. She concluded that Australia’s property sector continues to show the world how to build healthy, resilient and positive places for people and the natural environment.